And the winner is … Victoria Valentin! 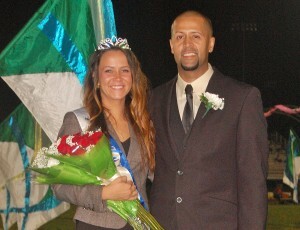 At halfime of Friday’s football game, Victoria was crowned Penn Manor High School’s 2013 Homecoming Queen. Victoria was escorted by her father, Victor Valentin, during halftime festivities at the game against McCaskey High School. 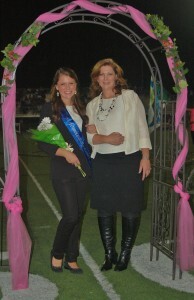 The runner-up for the crown was Jenn Adams, who was escorted by her mother, Mary Beth Adams. Homecoming festivities also included a tailgate party and a dance on Saturday. Congratulations to the entire court of eight homecoming candidates, which also included Addy Zuzu, Olivia Minnick, Katie Myers, Alisa Herr, Taylor Jones and Desiree Landis.